THE LAST OF THE MOHICANS / "Promenade Live"
“This song makes me cry” The Last of the Mohicans, composed by Trevor Jones and Randy Edelman for the film of the same name, is the signature tune of Alexandro Querevalú. As the heading indicates, this masterpiece not only makes the performer cry but also millions of people all over the world! The sentiments expressed in Alexandro´s interpretation of the music has a uniting effect on the hearts of people of all races, nations, religions and cultures. ​Alexandro Querevalú is a brilliant performer, one of the best of his kind, and the one whose popularity has spread more than that of any other performer by means of social networks worldwide to the United States, Europe, Asia, the Arab countries and Australia. 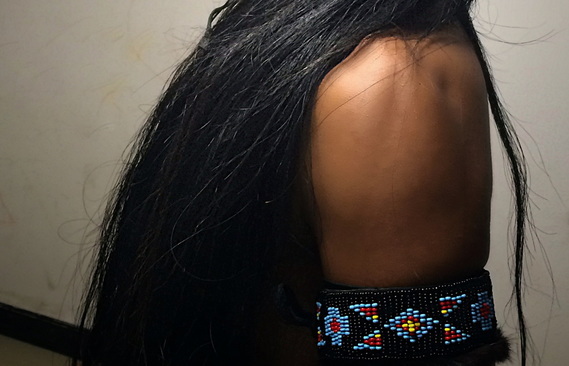 This is due to the unique way that he plays these indigenous instruments of both North and South America. The versatility, the eloquence, the sadness and the happiness which he expresses in his musical interpretations are felt deep within the soul, which is why he himself says “this song makes me cry”. Alexandro was born in Lima, Peru, to a humble but hard·working family. The oldest son of the family, he dreamed of helping his family financially. With this in mind, he emigrated to Poland at the age of 18. 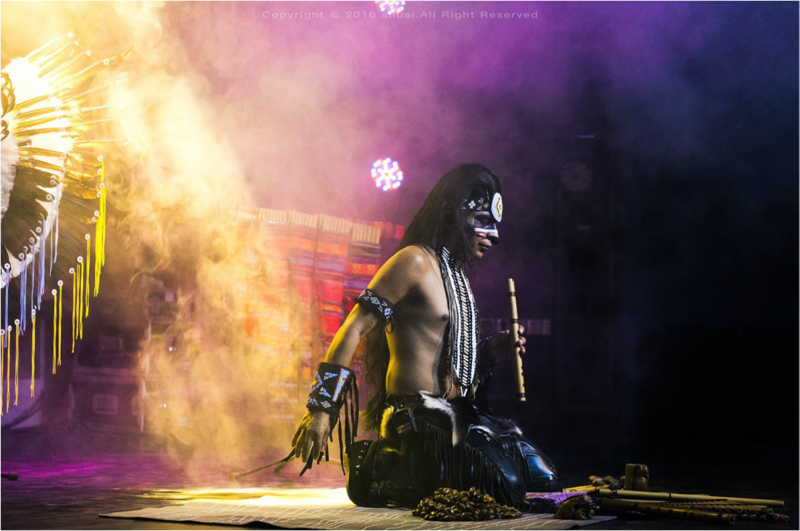 ​He plays a wide variety of wind instruments, such as the Quena, Quenacho, Antara, Basto Zampona and Malta Zampona, among others Andean and Native American flutes. He has a large repertoire, including The Last of the Mohicans, El Condor Pasa, and many other favourites. 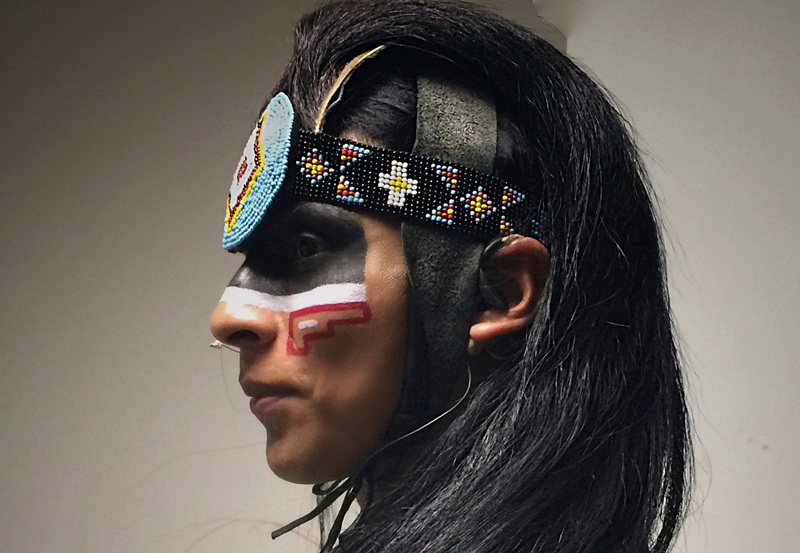 His live performances dressed in different Native American regalias are truly breathtaking. Alexandro lives in Poland. He was also a contestant on a Polish talent show. 1981/82: Learned to play the recorder. 1982: Learned to play the zampona from friends and family members. 1989: Took second place for his performance in the Festival of Andean Music in Lima, Peru. 1991: Became a member of Kuelap, a noted Peruvian romantic folkloric group. 1991: Shared the stage with the most famous folkloric group in South America: K'jarkas, Savia Andina, Alturas, Proyeccion, Marcamaru, Yawar. 1993: Performed with Passion Inkanto in Poland. Also recorded in studio for the first time in this year. 1995: Performed with several different groups in Poland, Germany, Sweden and the Czech Republic. 1996: Recorded several CDs with Passion Inkanto. 2003: Performed with Quillapas and recorded the CDs Andean Feeling and Andean Roots. 2004: Started performing music from the Andes, combining elements from both North and South America. 2010: Began performing as a solo artist. 2015: Videoed his performances of “The Last of the Mohicans” and “El Condor Pasa” on the Promenade in Swinoujscie, Poland, and shared them with the world on Social Media. This marked a turning point in his musical career. 2016: Performed in the International Festival in Kuwait for four weeks. Was also interviewed on Kuwaiti TV. ​2016: Did his first tour “The Last of the Mohicans” in China, Changsha, Beijing, Shanghai and Shenzhen. The tour was a huge success and as a result his popularity grew considerably. 2017: Did his second tour “The Last of the Mohicans” in China performing in the top 10 best theatres gaining big popularity in the Middle Kingdom. 2017: Performed in the "Adventure of Humanity" Project started by Michael Jackson and Nelson Mandela in 1999 connecting world personalities. 2017: Performed firts time in Las Vegas, Nevada in "The Space". 2017: Performed in Heymann Performing Art Center in Lafayette, Louisiana. 2017/2018 Dec-Jan did his third tour in China spreading more than that of any other amerindian performer in the Middle Kingdom. "Music For The Soul-Alexandro Querevalú The Last of the Mohicans"
New original music with my friend and spoken word artist Janice Kephart just released, Cherokee Voices: A Spoken Soundtrack by the Trail of Tears Women. Persecuted and forced to leave their mountain homes, these women reflect on their fate. Smooth Jazz Magazine says The essential part of a spoken word album is its ability to shift the listener to those places and times that the artist describes. On this project, Janice Kephart is able to do this effortlessly time and time again. It’s a testament to her being able to connect the music with the words, and it will have those looking for a great musical and historical piece, knocking on her door. She could not have done it without the magnificent flutes, rattles, calls and vocals of Alexandro.